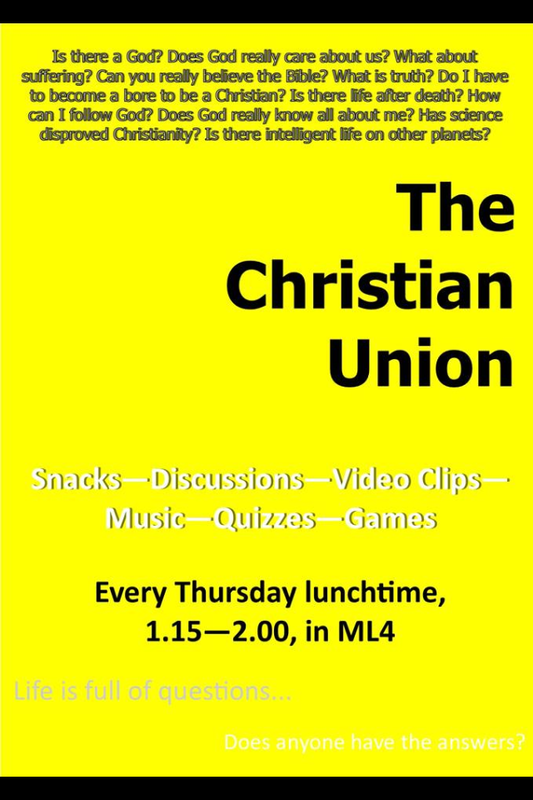 The Christian Union group meet every Thursday lunchtime (1:15-2:00pm) in ML4. We make learning about God and studying the Bible fun. We play games, do quizzes, watch video clips and have snacks.